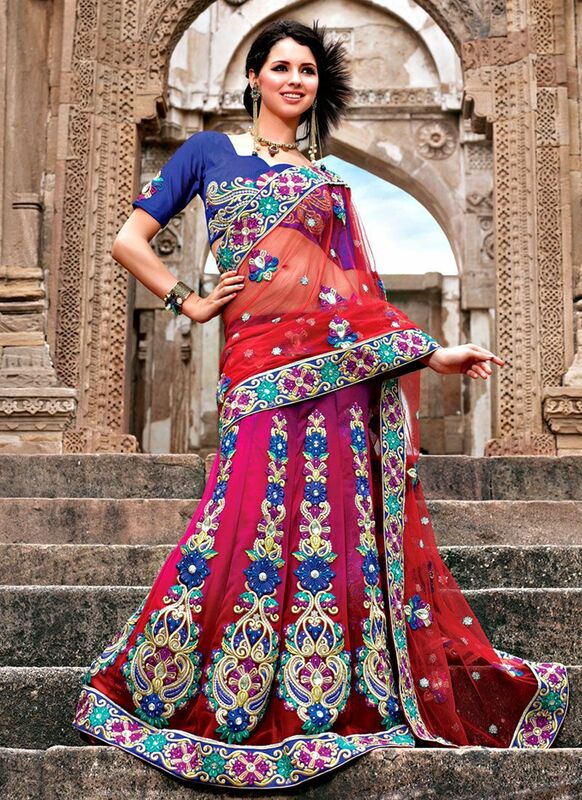 Innovative red and dark pink color net kalidar lehenga saree with awesome work patch border adding a spark to outfit. 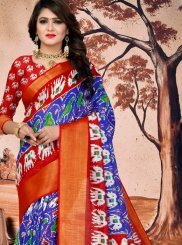 Designer body is prettified with glossy stones, sequins, jari, resham embroidered floral, paisley design skirt part, motifs and sprinkled butties upper pallu part is looking show pretty. Perfect for any festive occasion or weddings.